SPACE STATION NATHAN: The ALA Conference! Hangman or Frankenstein? 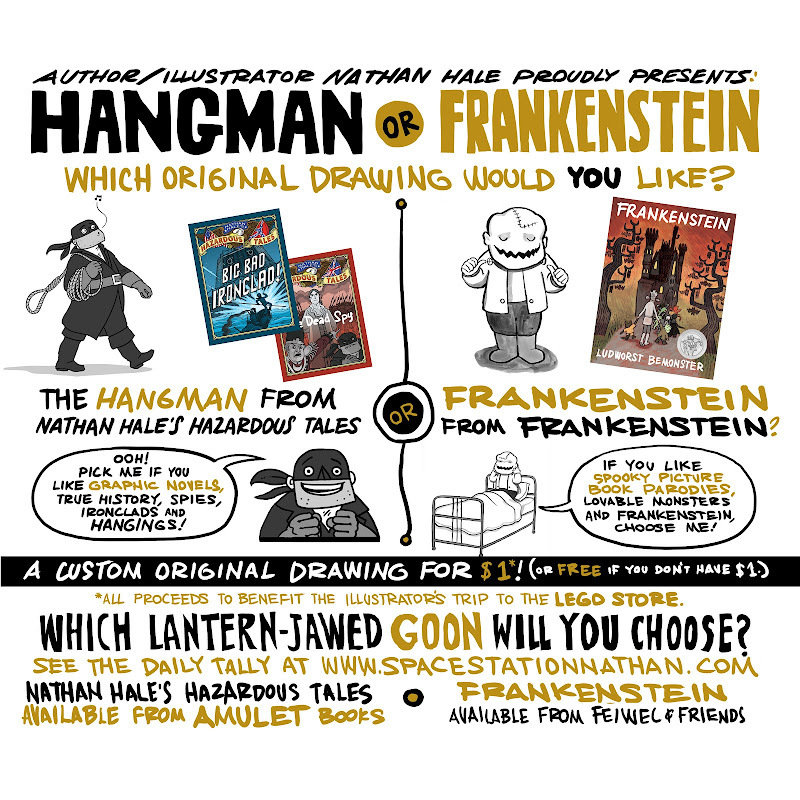 I really want both, but if I had to choose, I would go with Frankenstein. Now I want to play hangman. I might pick the Hangman. He's more...dashing? Yay LEGO Store! Are you going to get some collectible minifigures? The newest series has a bagpiper in it! Will you post pictures of you in reenactors garb? I would have to go with Frankenstein. Now I regret even more that I didn't get to go to ALA. I would have requested Frankenstein. Probably? My drawing or Rapunzel in my signed copy of Rapunzel's Revenge is one of my most prized possessions, so I know either one would be cool.